maaa´s activities result entirely from the commitment and the contributions of volunteering individuals. 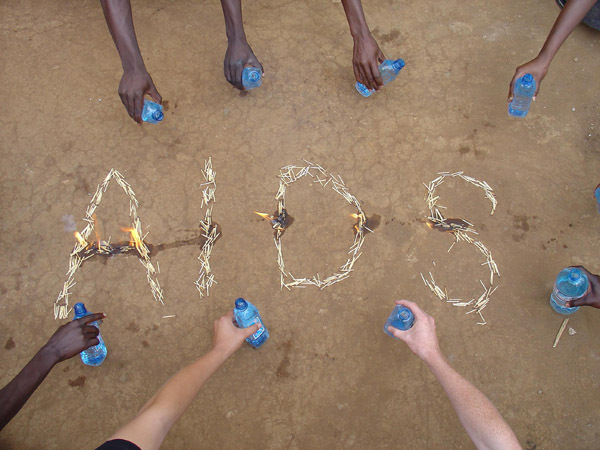 We are always looking into ways to find others with heart and interest in HIV/AIDS awareness and skills in different fields such as language, arts, graphics, computers, communication and media, medical and social sciences, human rights and others. All MAAA members are volunteers. All work is done on a non-profit basis. All money donated is solely used for charitable and public welfare projects and purposes. On this basis more than 90% of all donations reach directly the individuals, groups and communities affected by HIV/AIDS with a long-term benefit. Any individual, legal entity or organisation following maaa's Statutes can become a member of maaa. The membership - active or passive - we also consider to be a gesture of sympathy for people infected or affected by HIV/AIDS, a friendship among individuals, groups and communities from different cultures and backgrounds, a source of mutual inspiration and a shared potential for greater awareness! maaa's minimum membership fee: 1 €uro/month (12 €uro per year). Your support!